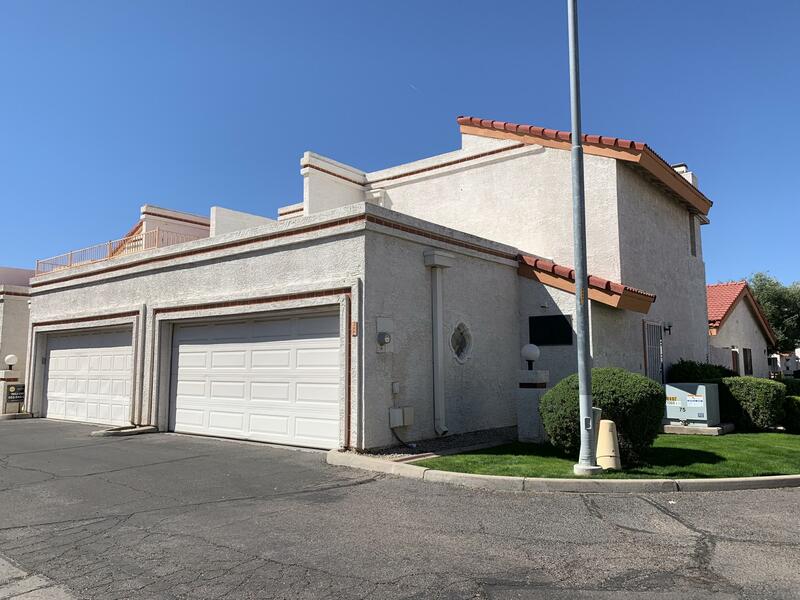 All FOUNTAIN SHADOWS UNIT 1 homes currently listed for sale in Peoria as of 04/20/2019 are shown below. You can change the search criteria at any time by pressing the 'Change Search' button below. "Pull into the garage, park the car, change out some laundry and open the door to your top shelf kitchen. Welcome home! Let's make dinner. There's plenty of stone counter space to prepare a meal you can be proud of, just like you're proud of your new townhouse. It's an open, 2 bedroom, 1.5 bath end unit. Your friends will be impressed by the diagonal tile work downstairs. You'll revel in the new carpet upstairs. Finish the day sitting on your balcony enjoying the Arizona sunsets. Your new townhou"